Friction reduction is playing an ever more important role in terms of lower CO2 emissions of the internal combustion engine. 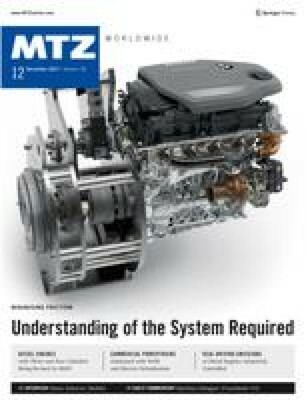 To enable friction-reducing measures to be evaluated correctly, a new measuring method was developed at the Graz University of Technology in cooperation with Diesel Engine Development at BMW, focusing on separate recording of the cranktrain friction in combustion mode. With the parallel use of EHD simulation, the development process can be optimised with the help of detailed analyses. As a result of increasingly strict CO2 emission limits that will be coming into force during the next few years, it is necessary to make progress with increasing the efficiency of internal combustion engines. Alongside a large number of measures, friction reduction is playing an important role. The friction-reducing measures had to be evaluated correctly in terms of measurement to optimise the development process.